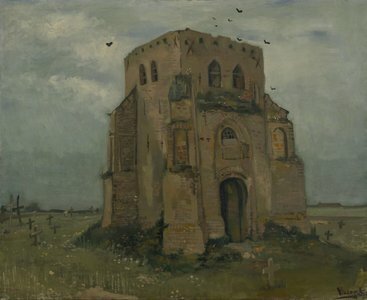 Also known as the Peasants’ churchyard, Old Church Tower at Nuenen was produced by Van Gogh during his stay at Nuenen. His attention to detail has transformed this painting into a masterpiece. 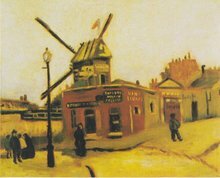 We have chosen the best artists from Holland to make sure we understand everything there is to know about Van Gogh’s works so as to come up with masterpieces that you can see listed on our website. 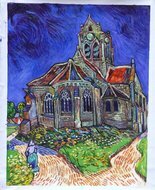 The Peasants’ Churchyard is a painting that is a part of Peasant Character Studies, which Van Gogh created during the time period 1881 to 1885. Van Gogh had a special attachment towards the working class that included peasants, weavers, farmers and fishermen. Jean-Francois Millet’s peasant genre of work particularly impressed and inspired him. 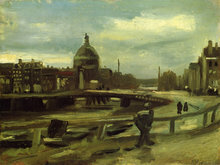 He considered his subjects as noble and very important when it came to development of modern art. Van Gogh was well aware of the kind of changes industrialization had brought into the lives of the working class, minimizing their opportunities and making them poorer than they were. The Peasant Character Studies that he created was a very important part of his artistic development. With time, he started living as they lived, visited the places they visited, went to the fields they worked in and endured the weather like they did. He felt for them and wanted to express things as they were. For him this was sacred and serious, which separated him from the rest whose focus was more on the techniques than on the nature of the people that they captured. 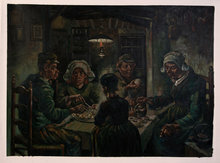 Van Gogh felt it easier to relate to the poor and common folk than with the cultured society. In his letter to his brother Theo he wrote that it was important for him to live in the surroundings he was sensitive to, if he wanted to express things as they were. Oil paintings can't be compared with posters and prints as oil paintings beautify and make your home classier. Having this meticulously hand-painted oil painting is sure to grab the attention of any visitor to your home or office. .